Lauren Groff (born July 23, 1978) is an American novelist and short story writer. She has written three novels and two short story collections. Groff was born and raised in Cooperstown, New York. She graduated from Amherst College and from the University of Wisconsin–Madison with a Master of Fine Arts degree in fiction. Groff's first novel, The Monsters of Templeton, was published by Hyperion on February 5, 2008 and debuted on the New York Times bestseller list. It was well received by Stephen King, who read it before publication and wrote an early review in Entertainment Weekly. It was shortlisted for the Orange Prize for New Writers in 2008, and was named one of the Best Books of 2008 by Amazon.com and the San Francisco Chronicle. The Monsters of Templeton is a contemporary tale about coming home to Templeton, a representation of Cooperstown, New York. It is interspersed with voices from characters drawn from the town's history as well as James Fenimore Cooper's The Pioneers, which is also set in a fictionalized Cooperstown which he also calls Templeton. Her first collection of short stories Delicate Edible Birds, was released in January 2009. It featured stories Groff published in the New Yorker, the Atlantic Monthly, Five Points, Ploughshares, and the anthologies Best New American Voices 2008, Pushcart Prize XXXII, and Best American Short Stories 2007, 2010 and 2014 editions. Her second novel, Arcadia, was released in March 2012 and tells the story of the first child born in a fictional 1960s commune in upstate New York. A New York Times and Booksense bestseller, it received favorable reviews from the New York Times Sunday Book Review, The Washington Post, and The Miami Herald. The novel was recognized as one of the Best Books of 2012 by The New York Times The Washington Post, NPR, Vogue, The Globe and Mail, Christian Science Monitor, and Kirkus Reviews. Her third novel, Fates and Furies, was released in September 2015 and was also a New York Times and Booksense bestseller. Fates and Furies is a portrait of a 24-year marriage from two points of view, first the husband's and then the wife's. It was nominated for the 2015 National Book Award for Fiction, the 2015 National Book Critics Circle Award for Fiction, and was featured in numerous "Best of 2015" fiction lists, including the selection by Amazon.com as the Best Book of 2015. President Barack Obama chose it as his favorite book of 2015. In 2017, she was named by Granta Magazine as one of the Best of Young American Novelists of her generation. In 2018, she received a Guggenheim fellowship in Fiction. Groff's fifth book, a short story collection titled Florida, was released in June 2018. Florida was the winner of The Story Prize for short story collections published in 2018. It was also a finalist for the 2018 National Book Award for Fiction. Groff is married with two children and currently lives in Gainesville, Florida. Groff's sister is the Olympic Triathlete Sarah True. The Midnight Zone 2016 Groff, Lauren (May 23, 2016). "The Midnight Zone". The New Yorker. 92 (15): 68–73. "Ghosts and Empties" in "The New Yorker"
^ "Groff, Lauren". Fresh Fiction. ^ "New York Times Bestsellers". The New York Times. March 2, 2008. Retrieved May 7, 2010. ^ "Harry Potter Fans, Break Out the Tissues". Entertainment Weekly. ^ "Orange Prize Shortlist". Orange Prize for Fiction. ^ "Amazon.com Best Books of 2008". Amazon.com. ^ "San Francisco Chronicle Best Books of 2008". San Francisco Chronicle. August 17, 2010. ^ Groff, Lauren (March 6, 2012). "Arcadia". Hyperion. ISBN 1-4013-4087-3. ISBN 978-1-4013-4087-2. Archived from the original on January 17, 2012. Retrieved January 24, 2012. ^ Wilwol, John (6 April 2012). "'Arcadia,' by Lauren Groff". Retrieved 11 June 2018 – via NYTimes.com. ^ Charles, Ron (13 March 2012). "Lauren Groff's 'Arcadia': Trouble in paradise". Retrieved 11 June 2018 – via www.washingtonpost.com. ^ "100 Notable Books of 2012". 27 November 2012. Retrieved 11 June 2018 – via NYTimes.com. ^ staff, The Washington Post (16 November 2012). "The 10 best books of 2012". Retrieved 11 June 2018 – via www.washingtonpost.com. ^ "Best Books Of 2012: The Complete List". Retrieved 11 June 2018. ^ "The Globe's top 29 picks for international fiction of 2012". Retrieved 11 June 2018 – via The Globe and Mail. ^ "10 best books of 2012 – fiction". 3 December 2012. Retrieved 11 June 2018 – via Christian Science Monitor. ^ "Best Fiction of 2012 - Kirkus Reviews". Kirkus Reviews. Retrieved 11 June 2018. ^ "National Book Award Nominees for 2015 (Fiction Category)". The New York Times. ^ "National Book Critics Circle Award Nominees for 2015 (Fiction Category)". ^ "Amazon Unveils the Best Books of 2015". Business Wire. ^ "Kendrick Lamar Vs. Bruno Mars: POTUS and FLOTUS' Favorite Songs, Movies and Moments of 2015". Retrieved 11 June 2018. ^ "Granta 139: Best of Young American Novelists 3". Granta Magazine. Retrieved 2018-04-23. ^ Groff, Lauren (April 1, 2018). "2018 Guggenheim Fellows". Guggenheim Foundation. 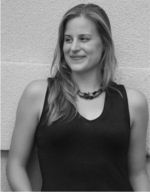 ^ "Lauren Groff's 'Florida' wins $20,000 Story Prize". ^ "The 2018 National Book Award finalists are in. Here's the full list". Vox. Retrieved 2018-10-11. ^ "Sarah Groff is One Tough Bird". TeamUSA.org. ^ Post-Dispatch, Joe Peschel Special to the. "Lauren Groff offers stunning view of a long marriage". Retrieved 11 June 2018. ^ Groff, Lauren (August 2006). "L. Debard and Aliette". The Atlantic Monthly. Retrieved 21 June 2011. ^ Groff, Lauren (Spring 2009). "Delicate Edible Birds". The Glimmer Train (70). Archived from the original on 11 July 2011. Retrieved 21 June 2011. ^ Groff, Lauren (June 13, 2011). "Above and Below". The New Yorker. Retrieved 21 June 2011. ^ Groff, Lauren (July 20, 2015). "Ghosts and Empties". The New Yorker. Retrieved 14 July 2015. ^ Groff, Lauren (November 21, 2016). "Flowers Hunter". The New Yorker. Retrieved 14 November 2016. Coverage of Groff's March 2008 appearance with author Stephen King in Sarasota. This page was last edited on 7 March 2019, at 06:14 (UTC).